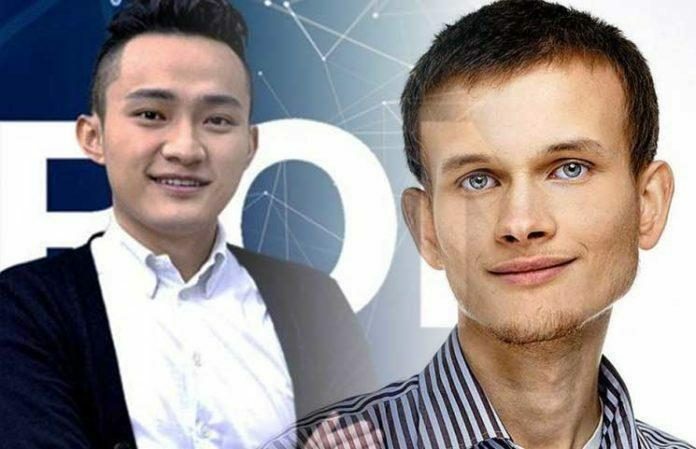 The competition between Tron’s Justin Sun and Ethereum’s Vitalik Buterin is not a secret to anyone in the crypto space. Now, Sun thanked Buterin for an older tweet from back in October 2017. In the latest series of pokes between the two crypto creators, Sun highlighted that Buterin praised BitTorrent as the first example of a truly successful decentralized application when Sun had not bought it yet. As you all know by now, Sun bought BitTorrent back in the summer of 2018 for $140 million. In the comments section, Sun’s followers also poked Buterin, as expected, but not everyone seemed against him. dApps on the blockchain become more and more popular these days, and it seems that gambling dApps are the ones with the highest popularity. There’s a brand new report from data analytics and digital asset research company Diar. This report reveals that dApps on EOS and Tron are powering a lot more dollar-for-dollar transaction value compared to Ethereum (ETH). A while ago, Sun told the developers on Etehreum to move their dApps on the Tron blockchain, and it seems that a lot of them did precisely that. Holy cow! What’s next for Ethereum upgrade ProgPow?